Six Fair Trade Coffee Companies You Have Got To Try! You are here: Home / Green Living and Eco-Friendly Tips / Six Fair Trade Coffee Companies You Have Got To Try! Looking to buy Fair Trade coffee? I totally believe in the power of Fair Trade sustainable products to create a better world with better products for everyone. 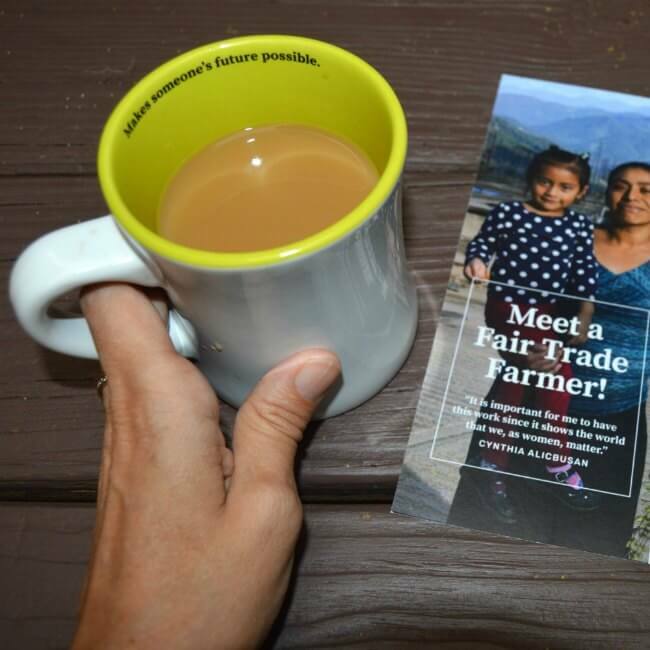 I was fortunate enough to visit a Fair Trade farm a few years ago and witness the good that they can do first hand in creating schools and medical options for the farm workers. 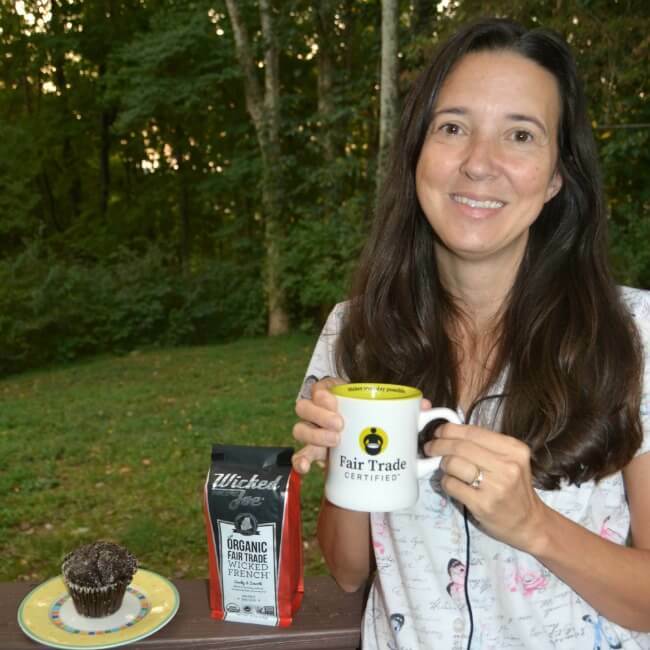 The Fair Trade Certified folks sent me a sampling of Fair Trade organic coffee beans and I am delighted to share information on the Fair Trade Coffee Companies I got to try. Why support Fair Trade Coffee companies? Well, because you are going to drink coffee anyway and Fair Trade coffee is good quality coffee that does good things. 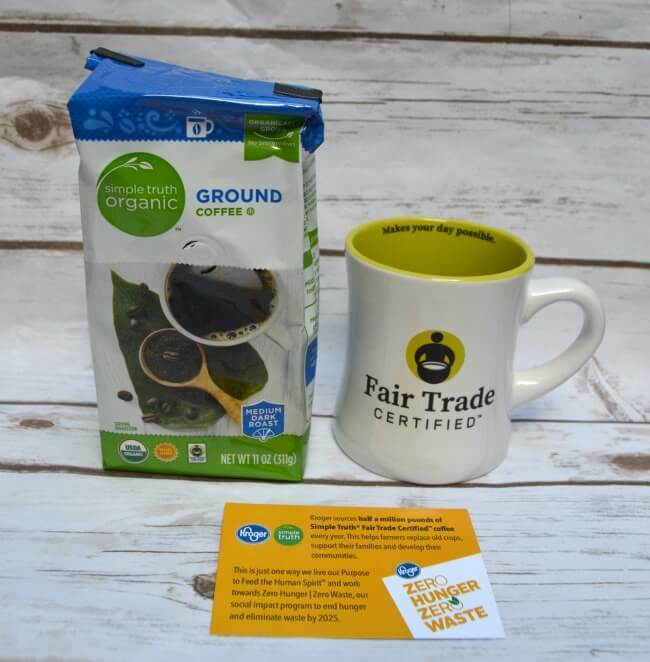 To show you the power of Fair Trade choices, National Coffee Day was September 29th and Fair Trade Certified challenged everyone to celebrate by drinking #JustOneCup of Fair Trade coffee. If everyone in the U.S. participated, they could send an extra $2 million to much-needed projects in coffee producing communities, all because of one little choice! You can make a difference every day with just by using Fair Trade coffee beans. If you want to buy Fair Trade coffee but you are not sure where to start, here are six suggestions for Fair Trade Organic Coffee that you are certain to enjoy. The Fair Trade coffee beans are grown in sustainable ways with farmers that receive fair wages and use great processing methods. Read on to find out which Fair Trade Organic Coffee piques your interest. 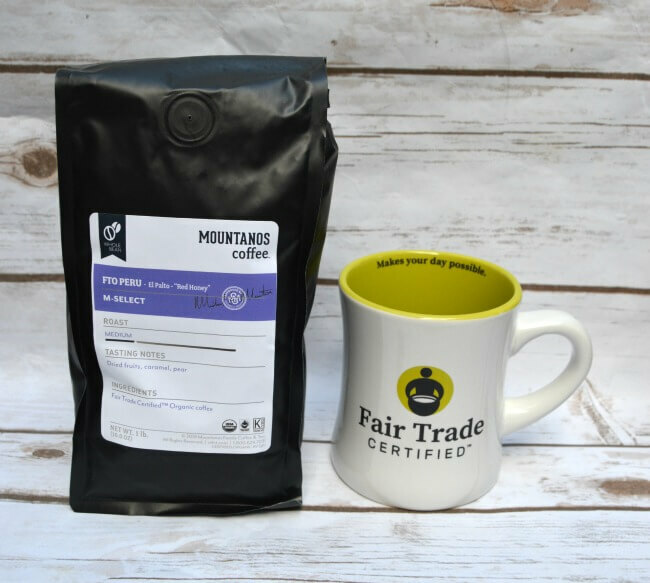 Mountanos Family Coffee & Tea Co.
Honey processing brings a gently sweet flavor profile to these beautiful Peruvian Fair Trade organic coffee beans. Medium body with aromatic floral notes. A real treat. The perfect warm weather pick-me-up, made easy. Simply pour contents into a pitcher, steep, and let the coffee guzzling begin. 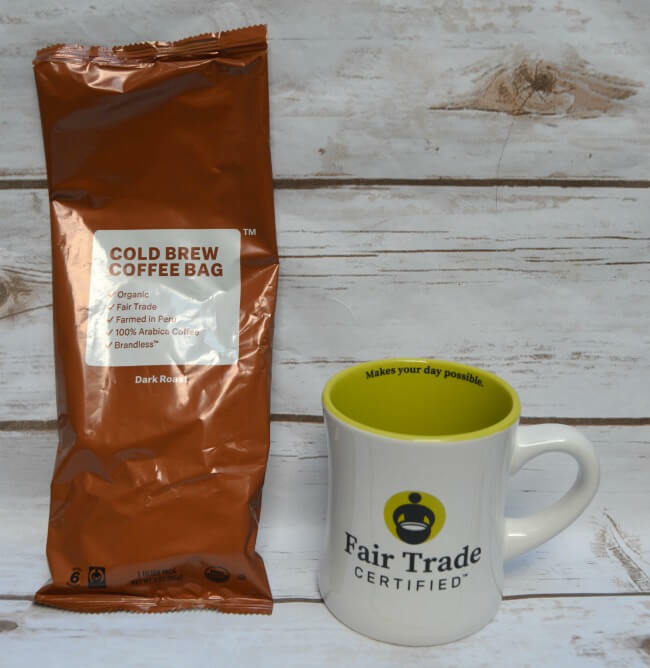 This Organic Fair Trade Dark Roast Cold Brew Coffee Bag yields six delicious servings. 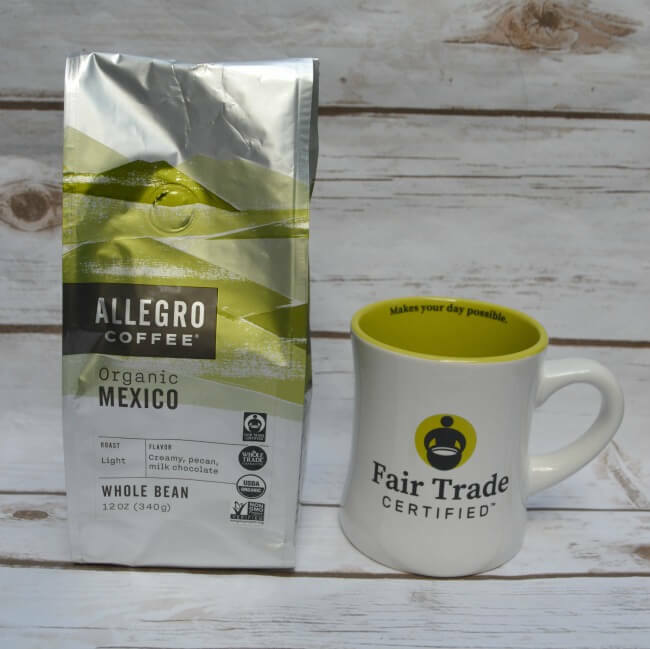 One of Colorado’s first specialty coffee producers, Allegro believes that great coffee starts with great relationships with the people who grow the beans. They source from multiple Fair Trade Organic cooperatives in the southern states of Mexico. The small-holder farmers in these co-ops use traditional wet processing methods and dry their coffee individually in the hot tropical sun. This makes for a nice, bright breakfast blend. One of the most readily available Fair Trade Coffee Companies, you can find Simple Truth at your local Kroger. Every cup of this organic, full-bodied Simple Truth coffee helps farmers build strong communities at a bargain price! 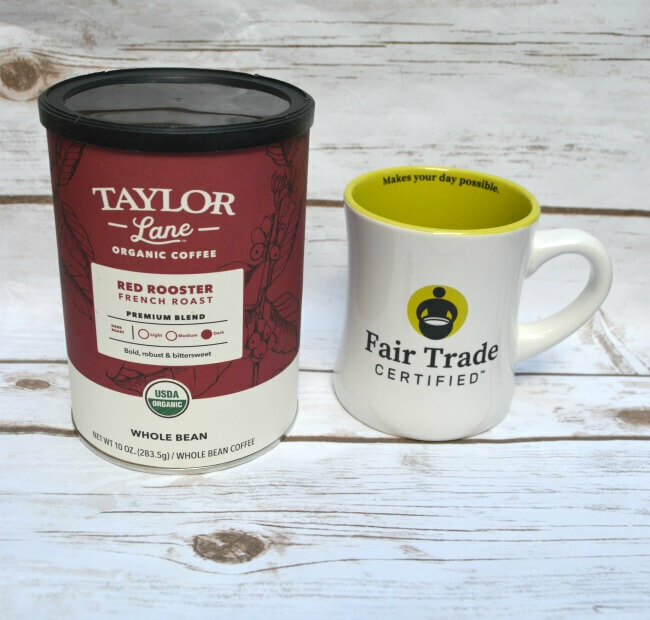 Since 1993, Taylor Lane has been committed to providing the most sustainable coffee possible. Fair Trade certification helps make that possible. This french roast is nice and dark like you expect but not so much as to lose the Fair Trade coffee beans’ inherent sweetness. These Fair Trade coffee beans are washed and sun-dried. Full body and intense flavor meet smoky undertones and a touch of sweetness in this balanced blend. This is an excellent balanced blend of high grown coffees and plenty bold! 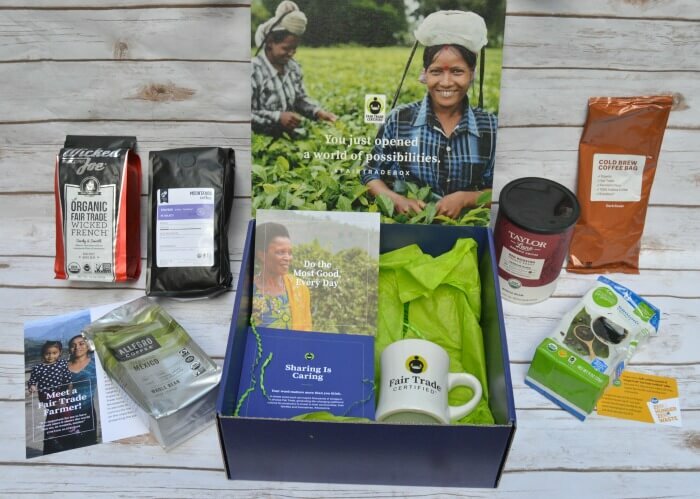 Which of these Fair Trade Coffee Companies have you tried already? Which Fair Trade Organic Coffee do you want to try most? Thanks for spreading the word about fair trade! 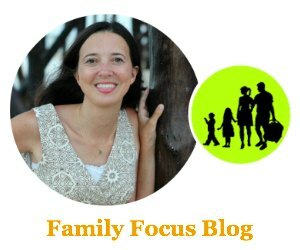 I’m encouraged that fair trade brands are getting easier and easier to find!